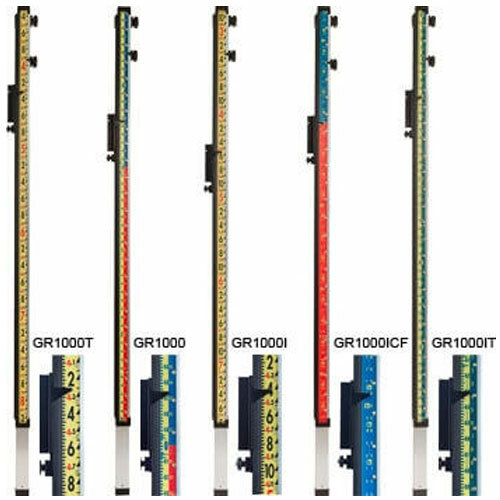 LaserLine's direct reading laser rods are the number one seller in the USA, and there’s a reason, tremendous quality. Tough, lightweight, and versatile, they withstand the true test of quality in the field, and hold up exceptionally well. Designed to be used with a laser detector, there is a special rail that lets a laser detector travel the full working length of the rod. This allows faster and easier readings because it takes the awkwardness out of having to loosen your detector, re-position it, then tighten the detector for each reading. Rod collapses to 5' 10-1/2" and extends to 10' 1-3/4"
Thank you EngineerSupply for shipping fast !!!!!! Glad to see Made in the USA. I verified this with the factory and they are definitely made in the USA. Will be buying another one for summer season which is around the corner. VERY well made. Should have bought one sooner than I did. Would have saved me time which in my world is MONEY. Well worth it. Would recommend this product to anyone without question. I bought the GR1000IT. This rod brought me out of the stone age. I will never use any other grade rod. Made in the USA. I stand behind this product as it stands behind my work daily. If you own a company, all your foreman should have one of these...period. Save money and simple math error. Go from dud to stud with the LaserLine direct read rod.